Since introducing our MeasureReady™ 155 precision current and voltage source, we continue hear feedback about how it benefits certain types of measurements. One of these is small AC signal measurement. The reason is, for the AC output the instrument provides an in-phase AC reference, making the 155 ideal for use with a lock-in amplifier when detecting extremely low signal levels in the presence of other signals. This output provides the 155 source a convenient way to sync up with a lock-in amplifier to permit the detection of small AC signals in the presence of other noise sources—a scenario that is common for semiconductor device measurements and other types of material research. 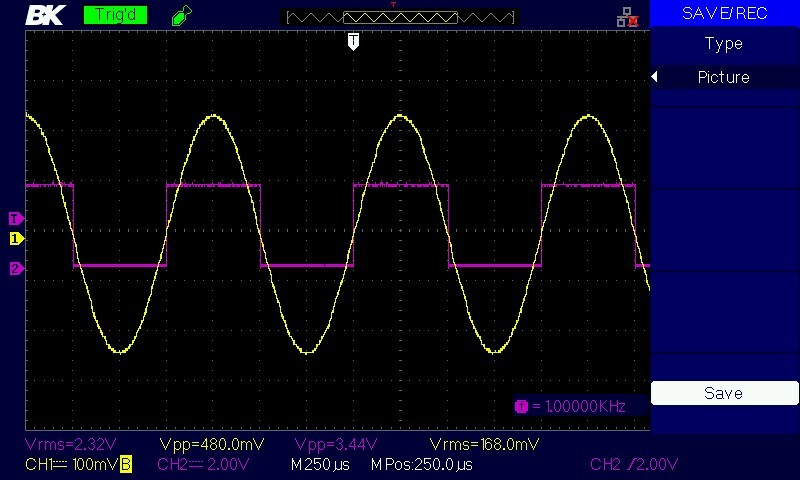 Measuring very low gate/channel leakage currents in FETs or any kind of transistor, including HEMTs, BJTs, HBTs, and MESFETs at <100 kHz. Characterizing unconventional quantum-limited electronic devices, such as graphene FETs, monolayer and multilayer MoS2, and tunnel FETs. For more about the source’s performance, how it’s ideal for scientists and material researchers requiring a precise, low-noise supply of current or voltage in the lab, and its simple, intuitive interface, visit the MeasureReady 155 webpage. 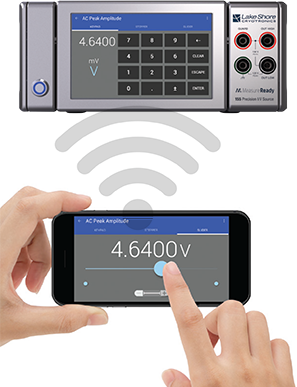 Also now available: a free app that enables you to conveniently operate the MeasureReady 155 remotely from your Android device (installable from Google Play). The app mirrors the 155’s front-panel interface. In "current source, Ohm's Law, educational video"
In "current source, 155 I/V source"